When you are planning ahead for your retirement years, it is important to consider end-of-life realities. According to the United States Department of Health and Human Services, seven out of every 10 people that are 65 years of age and older will eventually require help with their activities of daily living. Of course, some individuals will be able to get the assistance that they need from family members for a while, but many elders will ultimately reside in nursing homes. If you work and pay taxes for at least 10 years, you will qualify for Medicare when you reach the age of 65 under currently existing laws. This program will provide a strong health insurance underpinning, but it is important to understand the fact that there are out-of-pocket expenses for purchases, procedures, and services that are covered. These would include deductibles, copayments, and monthly premiums. For most people that plan ahead effectively to be prepared for retirement, the out-of-pocket Medicare expenses are manageable. However, there is a huge gap that can fly under the radar until you learn all the facts. The Medicare program will pay for convalescent care after an injury or illness, but it will not assist with custodial care costs. This is the type of care that you would receive in a nursing home, and you could potentially receive custodial care that is rendered by an in-home health aide. This lack of coverage is very significant from a financial planning perspective, because nursing home care is exorbitantly expensive. 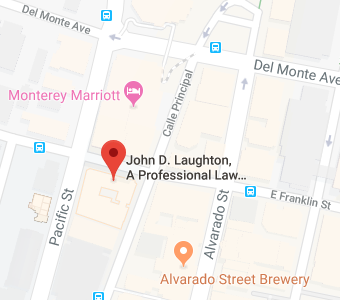 Our estate planning and elder law practice is in Monterey, California. At the present time, you can expect to pay somewhere in the vicinity of $100,000 for a year in a private room in a nursing home in our area, and the figure could be higher if you need care a number of years from now. Even if you can remain in your own home receiving assistance from a home health aide, the budgetary implications are considerable. The current costs are hovering around $50,000 annually for a qualified, licensed home health aide in our part of the country. Once again, these figures have been trending upward, so in-home care may be considerably more expensive in the future. Medi-Cal is another government health insurance program that exists to provide coverage for people that have very limited financial resources. It will pay for long-term care if you can obtain eligibility, but there is a low asset limit of just $2000. That’s the bad news, but the good news is that some things that you may own do not count, including your home. When it comes to the assets that are countable, you could strategically divest yourself of direct ownership of resources with future Medi-Cal eligibility in mind. However, this takes careful planning, because there is a look-back period. You are penalized and your eligibility is delayed if you give away assets within 30 months of the submission of your application for Medi-Cal coverage. This is why measured, informed advance preparations are necessary to enable you to obtain eligibility at the right time without losing anything in the process. Our firm would be glad to provide assistance if you are interested in Medi-Cal planning or any other elder law matter. To request a consultation, click this link or give us a call at 831-649-1122.